China’s Internet authority has issued a new rule requiring all messaging app companies to set up real-name registration for users, an effort mainly aimed at China’s most popular messaging app WeChat. The new regulation also says only official media accounts can post political news; other public accounts wishing to publish political news need to seek prior approval. Public WeChat accounts are typically used by individuals or companies to share news to subscribers. 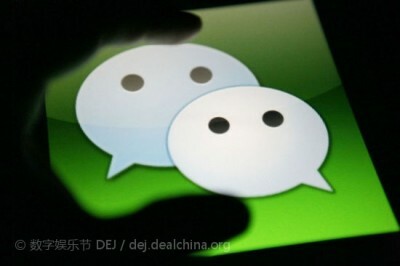 With the popularity of WeChat, they have become a major source of news for Chinese people. WeChat has grown popular since 2012 and now has almost 400 million active users. During the WeChat crackdown earlier this year, over 100 public accounts were shut down. Since May 2014, parent company Tencent has been attempting to verify the real identities of the users behind public accounts by forcing the public account holders to upload their ID and mobile phone information. Before each message was sent to subscribers, the public account runner has to scan his or her own personal WeChat code. This way, Tencent can always find out whoever spread the “illegal” message. The same announcement was made about Twitter-like service Sina Weibo last year. Although people have found ways to circumvent the rule, the serious crackdown on public accounts on Sina Weibo had a chilling effect all over the country. With the new crackdown on mobile apps, people are likely to watch their words before they post anything sensitive on WeChat.